Oklahoma's quarterback apologized for planting the flag at the Horseshoe. After Baker Mayfield led his Oklahoma Sooners to a 31-16 pounding of the Ohio State Buckeyes at Ohio Stadium, an exuberant Mayfield planted the Sooners flag at midfield. 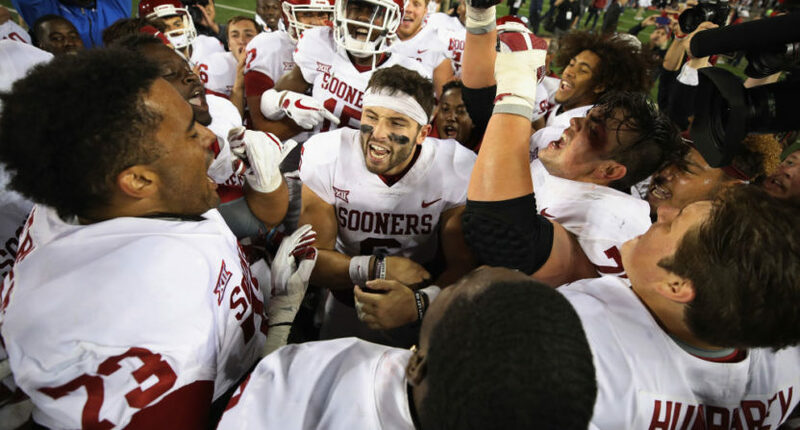 That rubbed some people the wrong way, and on Monday, Mayfield apologized, claiming he had been caught up in the moment and used Ohio State’s win over Oklahoma last year as motivation. ESPN broadcaster (and Ohio State alum) Kirk Herbstreit went on the Dan Patrick Show Monday morning, saying that Mayfield planting the flag was “uncalled for” but that people were overreacting to the incident. Maybe Mayfield was a little over the top, but when you avenge a home defeat a year later in such emphatic fashion, his reaction is understandable.